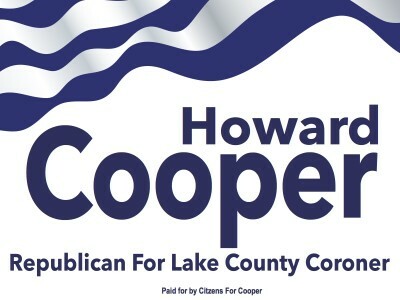 John and Dara Kelley cordially invite you to a Coffee and Dessert gathering for Dr. Howard Cooper for Lake County Coroner. The gathering will be held on Thursday, October 20th from 6:30 to 8 p.m. at the Kelley’s home in Lindenhurst. Tickets cost $25 per person and sponsorships are available for this event. For more information, click here.